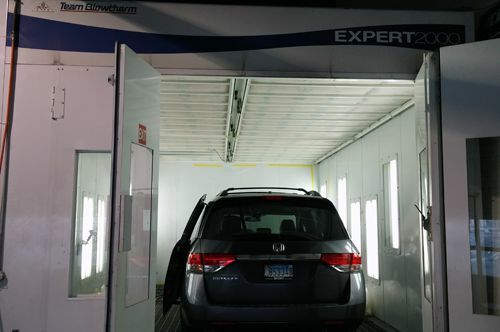 At Columbia Auto Collision we are armed with the latest technology & materials, skills & certifications, to ensure that your vehicle when finished will look great inside and out. We do not skimp on anything and take great pride in our workmanship. We have achieved the I-CAR Platinum designation for collision repair, the highest level that a body shop can receive. To reach this status one has to be expert in all aspects of auto-body, such as frame, unibody, metal and electrical. We are also Toyota Hybrid certified. We use computerized frame straightening technology that provides precise measurements for every model and make of vehicle. We use the PPG ENVIROBASE® High Performance waterborne paint system. It is green/environmentally friendly, provides professional results, and we employ advanced paint matching technology. Our paint jobs include a Lifetime Warranty which covers any improper wear or defects. We can provide a vehicle loaner, in-house car rental, and also do free pickups/dropoffs within a 15 mile radius from the shop. Since we also offer a full array mechanical services, all work can be done in-house rather than having your car sent to another shop. We also offer Paintless Dent Removal (PDR). 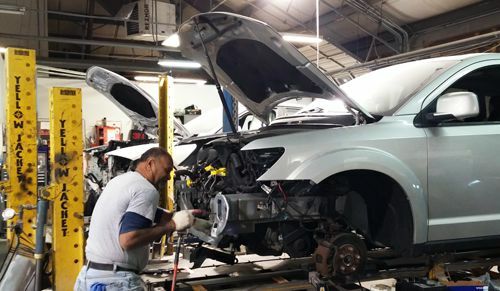 Whether you need major work done or have a small dent to fix, we are the Columbia Maryland collision specialist that will get the job done right. 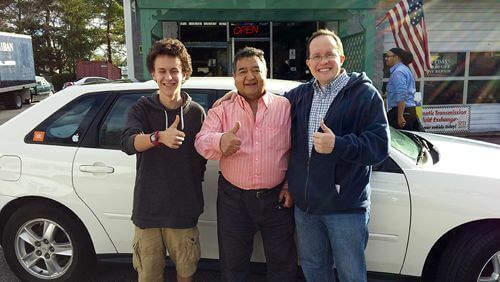 Owner Eddie Tehrani (center) with happy customers!